Tried using an OBDLink scan tool? If you haven’t then you’re missing out on a lot in terms of car diagnostics. OBDLink is basically a brand of OBD2 adapters. These scan tools utilize USB, Bluetooth and Wi-Fi to connect with your phone, tablet or computer. By doing so, the OBDLink scan tool acts as an interface between your device (phone, tablet or computer) and the car’s ECU. You can therefore use it to run diagnostics straight from your device. 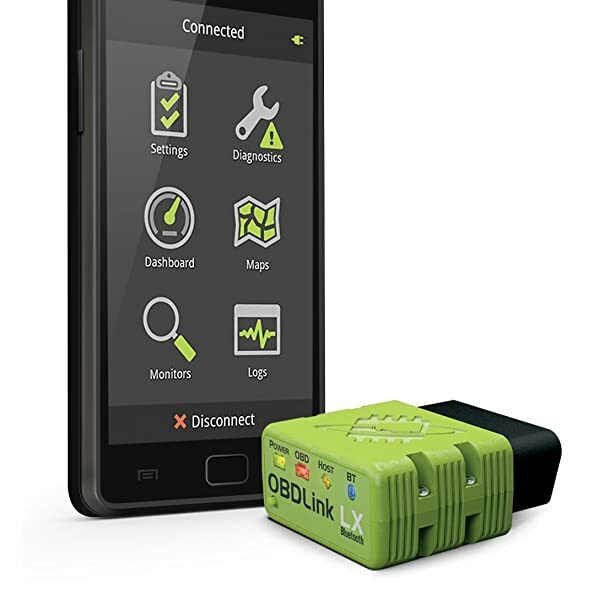 Like any other OBD2 adapter, OBDLink tools require you to install an OBD2 app (or software). The good news is that when you buy one of these dongles the company gives you the OBDLink app for free. Now, with that in mind, which is the best OBDLink scan tool for you? We have picked the top 4. 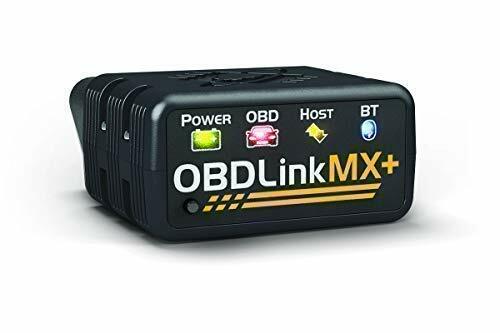 Built for Android and Windows devices, the OBDLink MX Bluetooth is arguably the best OBDLink Scan Tool for codes. 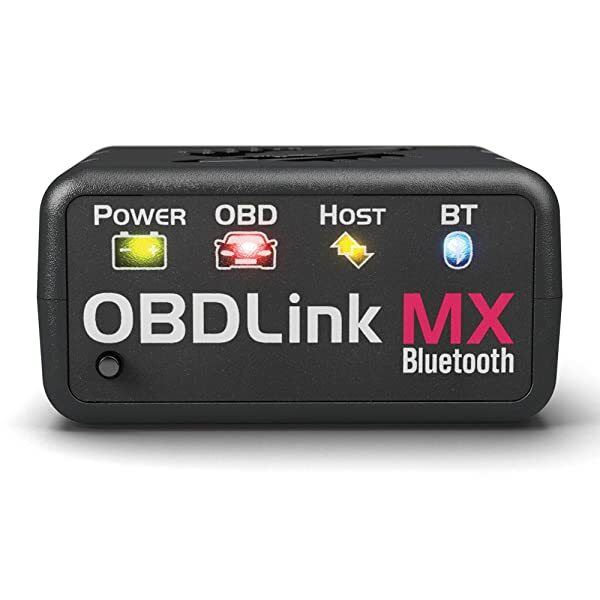 Built for Android and Windows devices, the OBDLink MX Bluetooth is arguably the best OBDLink Scan Tool for codes. It can read and erase engine, ABS, SRS and transmission codes. That goes for confirmed, pending and permanent codes. That is what makes the OBDLink MX ideal for diagnosing the 4 main systems (engine, ABS, airbag and transmission). Note that when you clear codes all the warning lights will turn off. That includes the Check Engine Light (CEL), ABS light and airbag light. Although it can’t read live data streams, the OBDLink MX can display freeze frame data. It takes a snapshot every time a code is registered. You can use that information to know the conditions under which the code was triggered. As is the case with all OBDLink scan tools, the MX comes with the OBDLink app. Besides that, it’s compatible with most third party apps including Torque Pro, OBD Fusion, OBD Auto Doctor, FORScan and many others. So you’re spoilt for choice in that regard; just in case you don’t want to use the OBDLink app (which is free by the way). In terms of vehicle coverage, the OBDLink MX works on all OBD2-compliant vehicles except Hybrid and electric cars. If your car is a 1996 or newer model sold in the USA then you’re guaranteed that this scan tool will be compatible. It supports a total of 7 OBD2 protocols, including SW-CAN and MS-CAN for GM and Ford respectively. With dimensions of 1.97 x 1.77 x 0.91 inches, the MX is a small form factor device. You can leave it plugged in the car’s OBD2 port and you won’t even remember that it’s there until it sends diagnostic data to your phone or computer. That’s yet another reason why it’s among the best OBDLink scan tools for ordinary car owners. 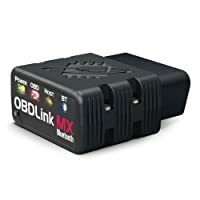 If your budget won’t allow you to buy the OBDLink MX (above) you may consider going for the OBDLink LX. The latter is significantly cheaper, yet similar to the MX in many ways. For starters they are both Bluetooth scan tools that are compatible with Windows and Android devices. Neither of them works with iOS phones nor any other Apple gadgets. Just like the OBDLink MX, the OBDLink LX covers all OBD2-compliant vehicles, save for hybrids and electric cars. So if your car was made or sold in the US after 1995 you may use this scan tool. The one area where the OBDLink LX falls short is functionality. It can only read and clear engine codes. Other systems like ABS, SRS and transmission are not covered. Nonetheless, it does support reading of live engine data such as boost, vacuum, RPM and throttle position. That makes up for its inability to display freeze frame data. Overall, the LX can be termed as the best OBDLink scan tool for car owners who only need to check why the Check Engine Light (CEL) is on. With it you can pull and erase engine codes, and therefore reset the CEL. 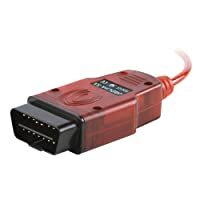 Plus its small enough to remain plugged in the car’s OBD2 port without obstructing the driver or draining the car battery. Compatible with third party apps like Torque Pro, OBD Fusion, OBD Auto Doctor, FORScan etc. 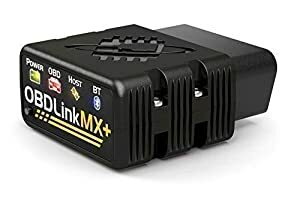 The OBDLink MX+ was released in late 2018 as the successor of the OBDLink MX. It takes all the functions of the latter and adds to them. More specifically, while the MX can only access the 4 main systems (engine, ABS, SRS and transmission), the MX+ gives you access to all available systems. That includes the aforementioned 4 as well as TPMS, SAS, EPB, A/C and any other available system. In all cases you can read and erase confirmed, pending and permanent codes. As a result, the MX+ allows you to reset any system and turn off its warning light. For example, you can reset the ABS and EPB, and then turn off the brake light. That capability is what makes the MX+ the best OBDLink scan tool for full system diagnostics. And that’s not the only edge you will get in using this small device. The other benefit is its wider compatibility; both in platform and vehicles covered. With regards to platform, the MX+ is compatible with Android, iOS, Windows and Kindle Fire devices. In other words you can use it on all smartphones and tablets as well as most computers. The only ones that are not compatible are Mac and Linux operating systems. In terms of vehicle coverage the MX+ works on all OBD2-comliant vehicles. That’s a standard on all OBDLink tools. Other standard features include the free OBDLink app, small form factor size (1.97 x 1.77 x 0.91), hacker-proof software and compatibility with third party apps. The benefits don’t end there though. This device packs additional functions that may be needed during diagnostics. For instance, it supports live data streams, freeze frame data, smog test, data graphing and trip logging. It is that improved functionality, alongside the wide compatibility, that makes the MX+ the best OBDLink scan tool for DIY enthusiasts. 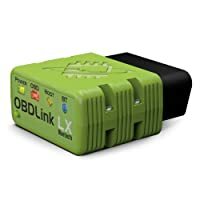 The OBDLink SX is the best OBDLink scan tool for a buyer with a shoestring budget. Retailing at under $30, this device is affordable to pretty much any car owner. And the best part is that it is compatible with all OBD2-compliant vehicles. That said, the low price does come with some tradeoffs. Top on the list is the fact that this scanner only works with Windows devices. So basically Android, iOS, Mac and Linux users are all out of luck. Secondly, the adapter is USB-based (contrary to the first three that use Bluetooth). That limits its target users to car owners who use Windows PCs and tablets that have a USB port. It does come with the OBDwiz software for running diagnostics on Windows. Nonetheless, the SX is still a decent scan tool for ordinary car owners. Compatible with all OBD2 vehicles, the scanner reads and clears all engine codes. That means you can use this USB device to turn off the CEL. Besides, it supports viewing of live engine data. So you can check things like horsepower, torque, RPM and fuel economy in real-time. And like the other three best OBDLink scan tools, the SX has a power-saving feature that ensures it doesn’t drain your car battery even when left unplugged. So there it is, a review of the best OBDLink scan tool. As you can see, each tool has a unique set of features to offer. The trick to choosing the best depends on the set of functions you need and your budget. For example, if you are on a very tight budget you may consider the OBDLink LX or OBDLink SX. But keep in mind that the latter is only compatible with Windows devices that support USB connectivity. If your budget allows it then by all means consider the MX. 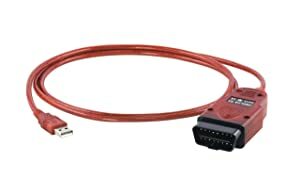 It’s the best OBDLink scan tool for diagnosing the main on-board systems and viewing freeze frame data. The MX+, on the other hand, is ideal for DIYers and some professionals. It not only supports full system diagnosis but can also display live and freeze frame data. The scanner also supports smog tests.